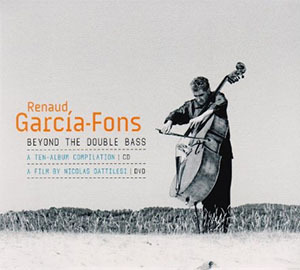 In 1997 Renaud García-Fons released an album entitled Oriental Bass. While the name may be all but forgotten and perhaps with it the album as well, it pays to remember where Mr. Garcia-Fons is coming from. 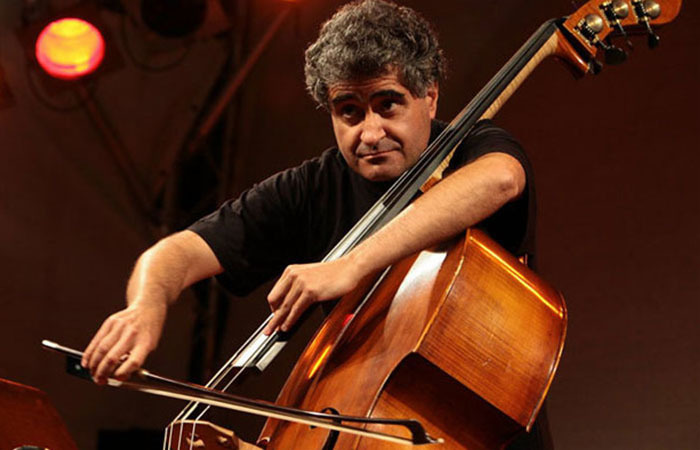 A Frenchman of Spanish heritage, with a strong affinity for Western polyphony, Mr. García-Fons is also—because he is a bassist—skilled in the polyrhythms of the East, from Andalusia eastwards, that is. Musically he is more of a Moor than a Gaul. But there is something above and beyond all of this. Renaud García-Fons is a musician of extraordinary genius. His compositions are so innovatively brilliant and seemingly can only be negotiated by him that he stands further apart from literally all active bassists in the world today. The reason for this is simple. His music requires that its player must have the highest technical skill and temperament. That skill includes unbridled pizzicato and con arco technique, dynamics so unprecedented in music that they seem to belong exclusively to him alone. To put it another way, if Glenn Gould were reincarnated as a bassist he would play like this: with a caressing bow on strings and with the authority of fingers that apply both gentle and firm pressure to strings, delicate and subtle articulation and touch, and with magical intonation and unrestrained emotion. Perhaps this might seem a lot to say; a lot of praise to heap on a mere mortal, but this is meant to be. Renaud García-Fons is, in a world full of noise, literally one of a kind. Graduating from the Conservatoire de Paris under the guidance of François Rabbath, Mr. García-Fons came into his own literally from his very first debut solo album, Légendes (Enja,1993). It was all a meteoric rise heavenward thereafter, the bass violin seeming to have become an extension of body and soul ever after. Indeed his addition of the sixth string to his bass violin made by the luthier Jean Auray came to be just as the quintessence (of ether) was added to the four elements of earth, wind, fire and water. Each time Renaud García-Fons played, whether in the studio or live; each time these performances were captured on record this became an epochal event. His ground-breaking solo performances have lasted ten years (and counting) and for those who have not had the opportunity to collect all of his ten solo records, this retrospective will be boon companion in a journey of exploration of Mr. García-Fons’ music. It is almost impossible to have a favourite album from the period that spans 1993 and the release of Légendes to 2012 when the bassist played a truly unforgettable concert that was put down on record as Solo Marcevol Concert. But some tracks do stand out and, perhaps, will be played over and over again: “Funambule” from Légendes is one of these. Mr. García-Fons’ playing is so utterly ingenious it is difficult to come to terms with the fact that this is effectively his first solo album. To his expert bowing and plucking, the bassist has added percussive colours that are daubed on the musical canvas by his tapping hands. “Berimbass” is another memorable track. The performance on this chart from Arcoluz is an expressively articulated performance where the rhythmic edges are sharper and the melodic contours smoother. Since then Mr. García-Fons has released two fabulous charts such as “Em mi barrio” and “Camino de Felicidad” (with Soleá García-Fons). These too have been added to this package. But perhaps the best thing of all is the documentary that is part two—the second disc—of this retrospective. To have this film made with the renowned filmmaker Nicolas Dattilesi with the audio record is a stroke of luck. Superbly produced the cameras seem to embrace the bass and its delicate contours. They also bring the bassist to life in the living room and when viewed on a television with high-definition sound and vision it is literally quite the experience. Track List: Em Mi Barrio; Aljamaido; Oriental Bass; Berimbass; Entremundo; La Linea del Sur; Wadi Rum; Hommage à Ostad; Al Camarón; Palermo Notturno; Funambule; Camino de Felicidad (with Soleá García-Fons); Bari; Voyage à Jeyhounsbad. 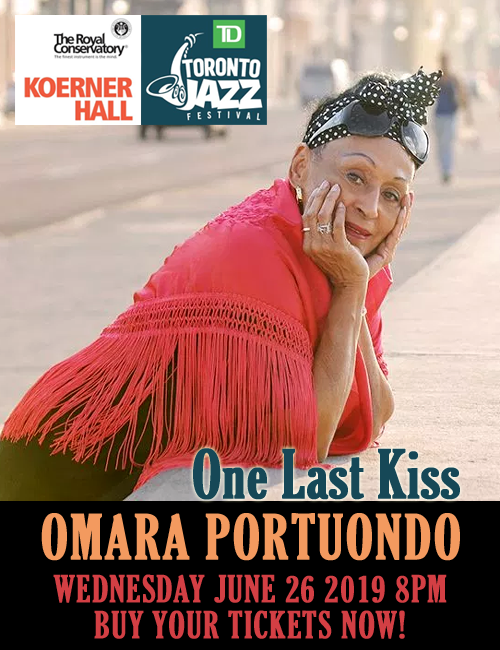 Personnel: Renaud García-Fons: bass, bendir, daf, udu pot, shakers, bongos and palmas—with Claire: Baroque lute and zither; David Ventucci: accordion; Kiko Ruiz: flamenco guitar and palmas; Adel Shams El Din: riq; Yves Favre: trombone; Chris Hayward: flutes; Radh Khalfa: derbouka, tar, bendir; Jean-Louis Matinier: accordion; Bruno Sansalone: clarinets; Negrito Trasante: drums and percussion; Henri Tournier: bansuri and flutes; Bruno Caillat: tabla; Gaston Sylvestre: cymbalum; Hakan Gungor: kanoun; Frank Tortillier: marimba; Françoise Couvert: violin; Philippe Couvert: violin; Frank Pichon: violin; Pierre Hamon: bagpipes; Dahmane Khalfa; carcabas, saguetes, tbel, derbouka, bendir; Rabah Khakfa: derbouka, carcabas, bendir; Sam Schlamminger: daf; Yves Torchinsky: double bass; Jacques Mahieux: drums; Soleá García-Fons: voice and palmas.